FG begins assets, tax probe of wealthy Nigerians – Royal Times of Nigeria. The Federal Government has engaged a United Kingdom Forensic and assets-tracing firm and some others to trace the assets of some very wealthy Nigerians at home and abroad. 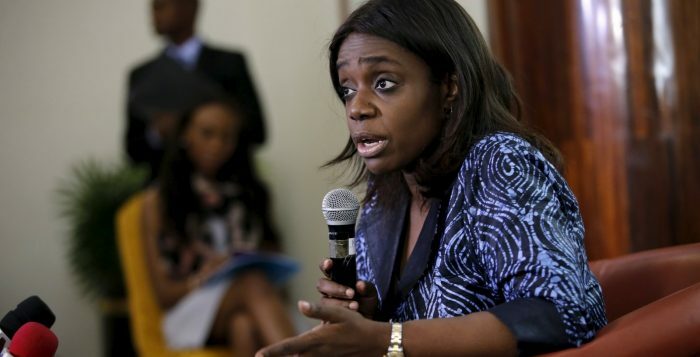 The Minister of Finance, Kemi Adeosun said this at a press briefing in Lagos on Thursday. The minister said names of 150 very wealthy Nigerians are on the list for the first batch of the exercise, which is expected to last for some months and that the Federal Government was trying to match the lifestyle of wealthy Nigerians to taxes they pay. She said: “How much we recover from their purses is not as important as getting people into the tax net and paying the right taxes. Majority of people who are paying taxes at the moment are the Pay As You Earn; most of the people whose taxes are being deducted at source. But the people who are evading taxes are either the people who own their businesses or the high net worth individuals. “And ordinarily, they are supposed to pay the biggest share of the tax revenue. What is happening now is that the lower-end people are carrying more of the burden, which is unfair. Everybody has to carry their fair share according to their level of income. That is how progressive taxes work all over the world. “The firms that we are using to trace assets internationally are working alongside the projects that we have locally. “And that project puts together records of property ownership, foreign exchange allocations, company ownership from the Corporate Affairs Commission, and even private jet registration so that we can build profiles of people so that we have an idea of how much tax should this person be paying according to his or her lifestyle. According to the minister, the Federal Government is looking at realising about $1bn from the VAIDS.